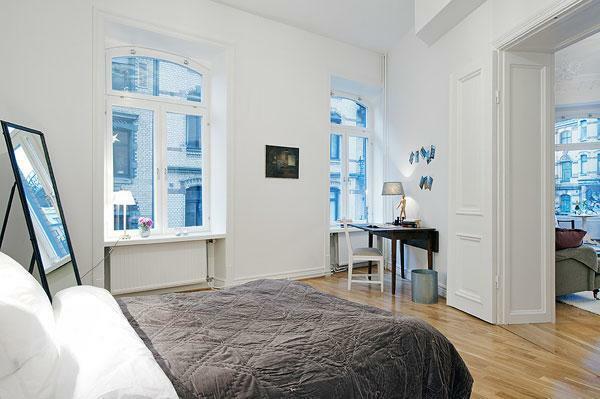 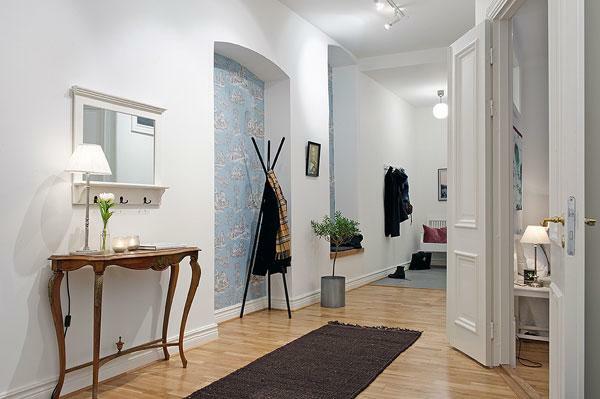 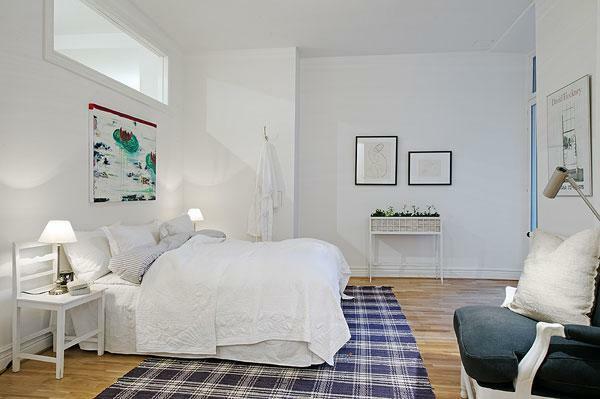 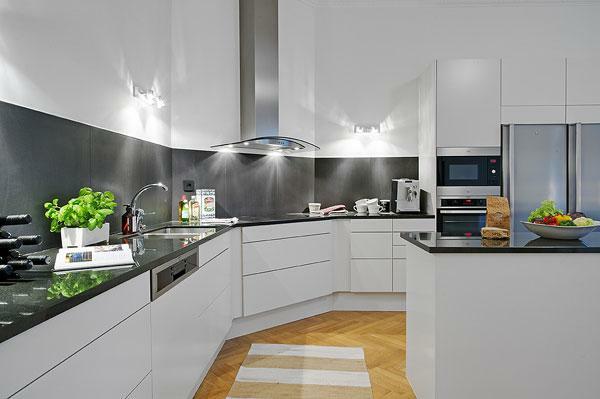 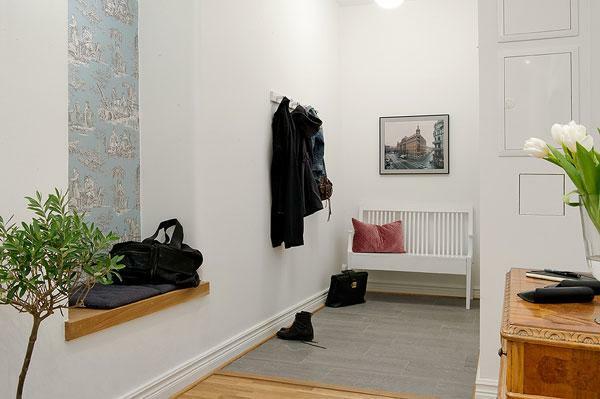 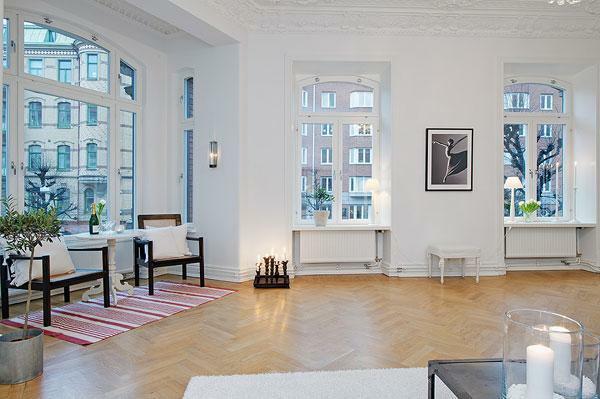 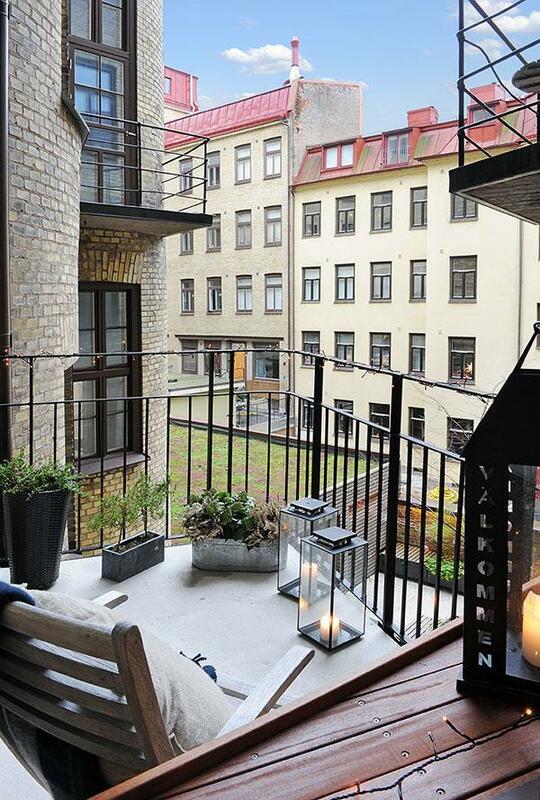 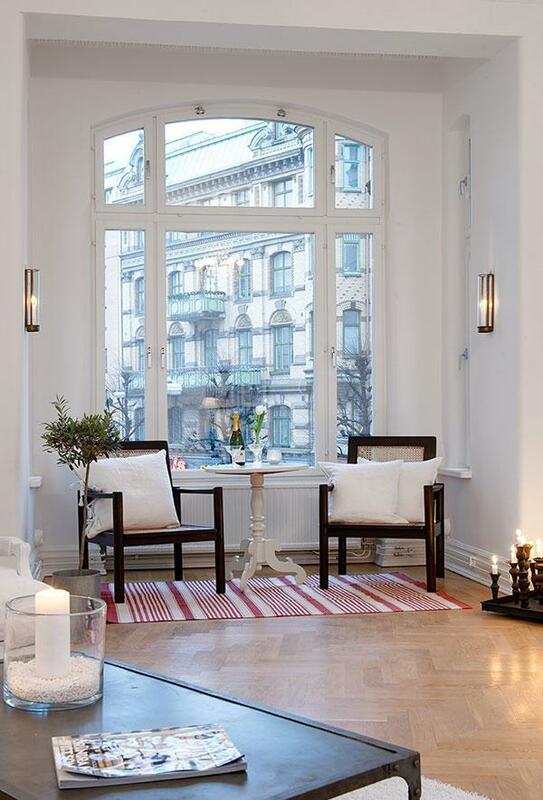 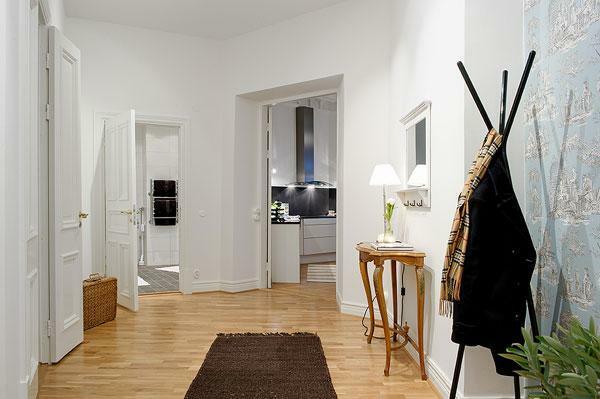 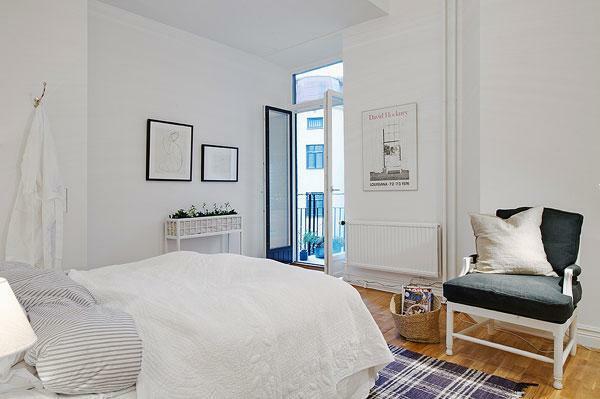 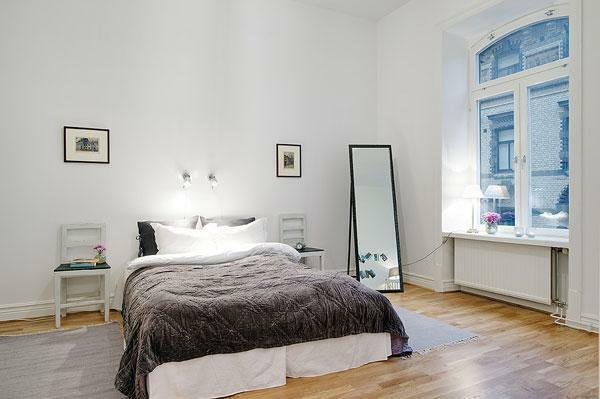 For those of you who enjoy an apartment with a feeling for the original, here is a tasteful and completely renovated Scandinavian crib which occupies an entire floor of a turn of the century building in Gothenburg, Sweden. 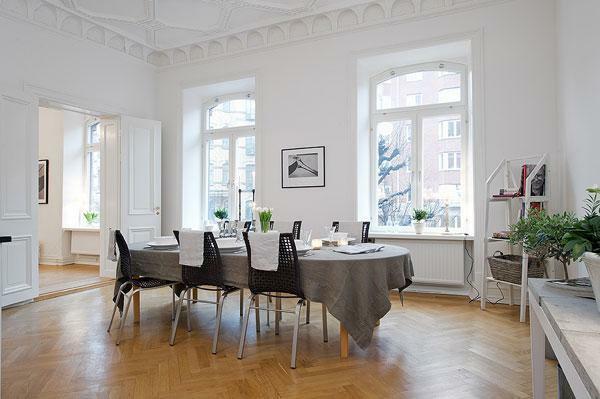 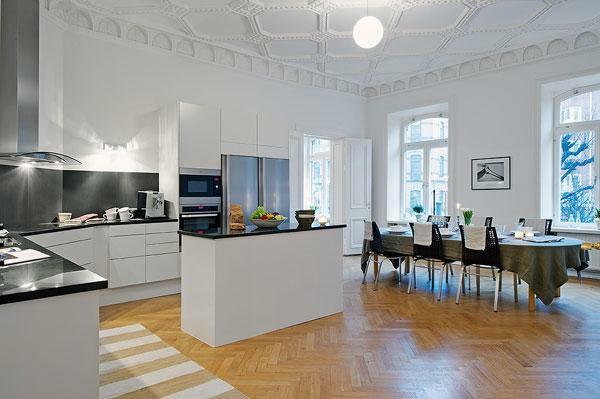 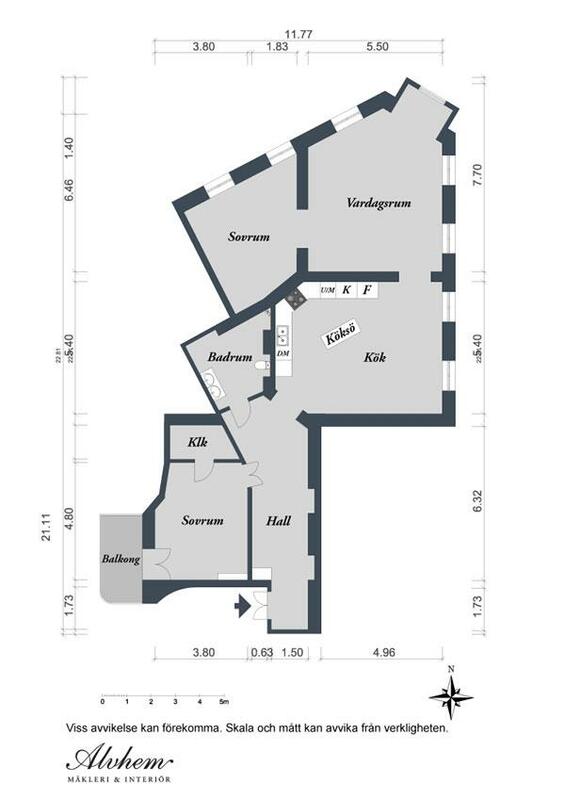 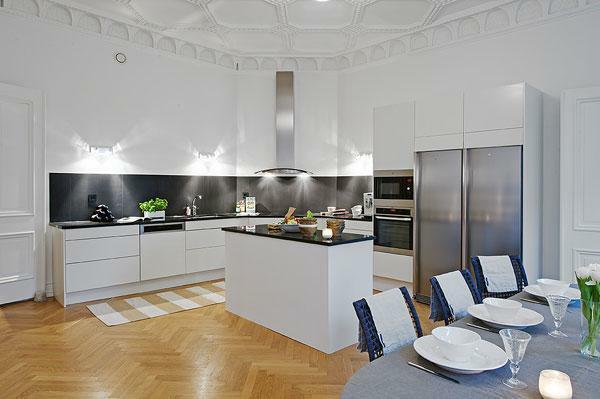 The apartment features a ceiling height of about 3.3 meters, finely preserved stucco, high windows and bay windows. 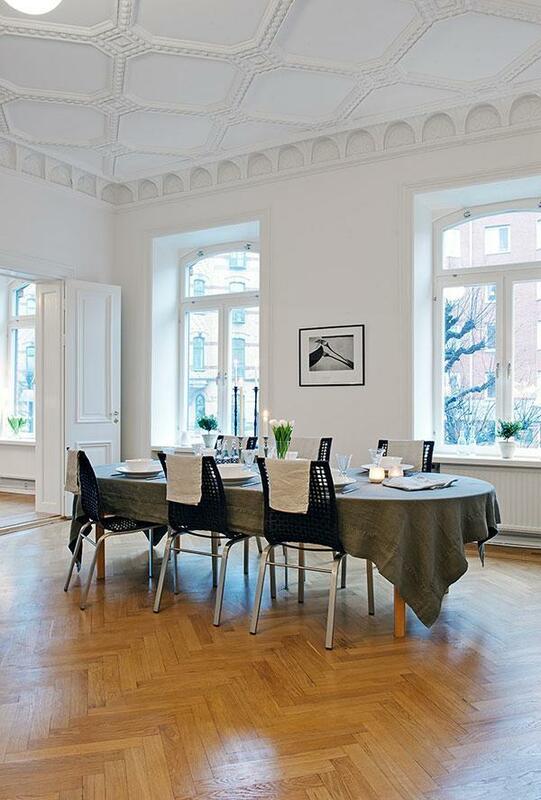 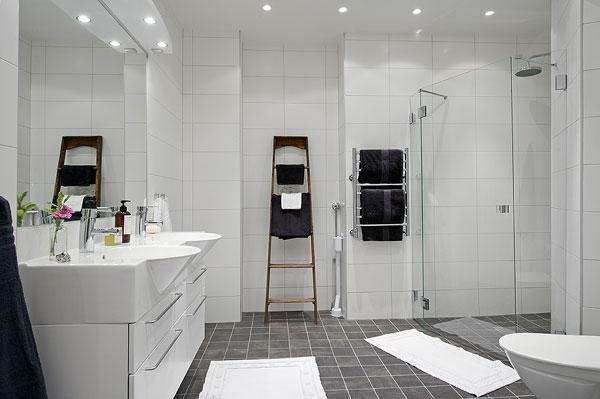 But the traditional elements are pleasantly complemented by contemporary interior design details. 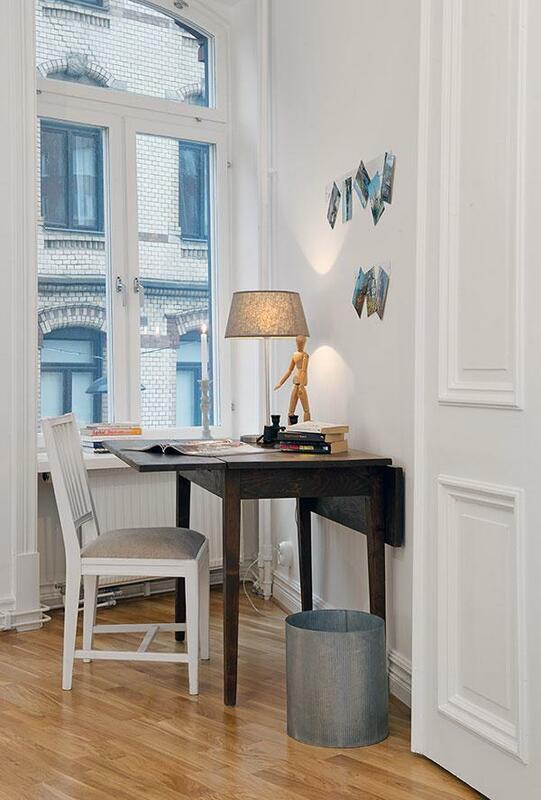 Composed of three rooms plus kitchen, the loft has a living area of 147 square meters, exuding a feeling of space. 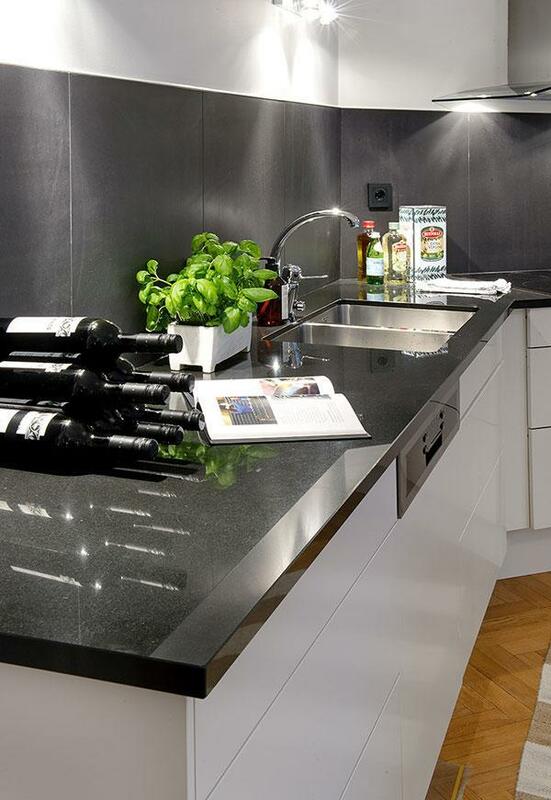 The large kitchen offers wonderful opportunities for gathering friends and acquaintances over, or for throwing an intimate party. 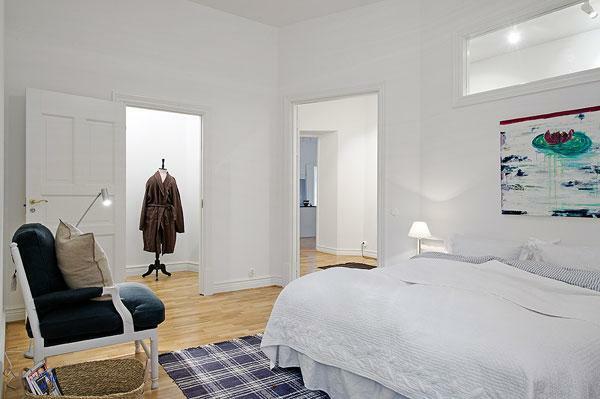 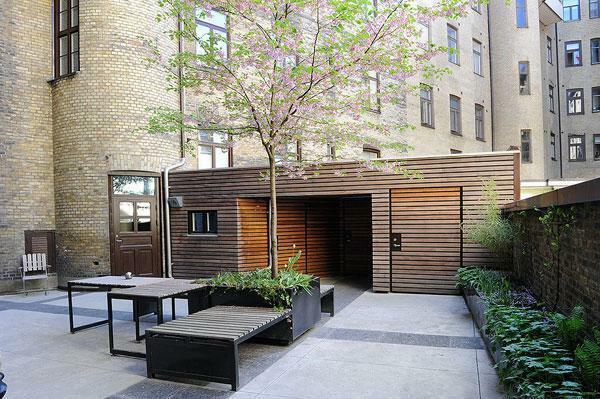 The bedrooms have good storage facilities and one of them has access to a lovely terrace. 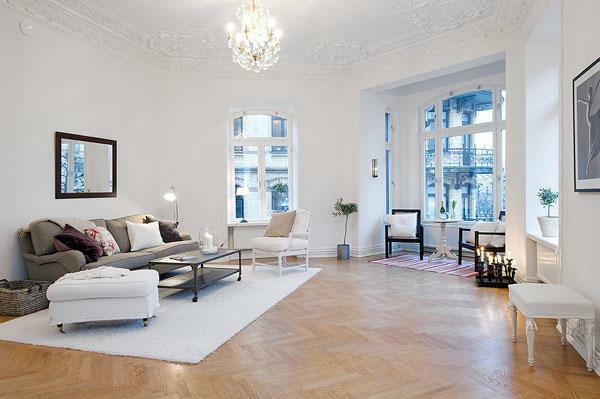 The living room is the core of the house and has no less than 35 square meters. 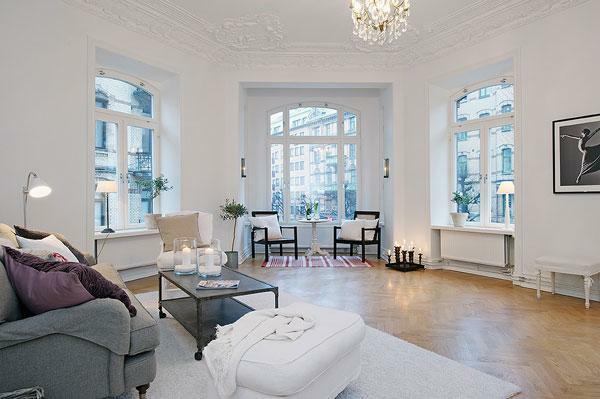 With plenty of natural light, high ceilings and charming decorations, this particular part of the apartment gets a subtle “royal” touch.